InnoChain is a 4-year international research network for highly motivated young scientists, where state-of-the-art research combines with a comprehensive training and secondment programme. The network is funded by the European Union’s Framework Programme for Research and Innovation Horizon 2020, under the Marie Skłodowska-Curie Actions Innovative Training Network scheme. The research network assembles a highly cross disciplinary team of experienced researchers drawn from architecture (CITA/KADK (coordinator), Bartlett School of Architecture, Institut d'Arquitectura Avançada de Catalunya and Kungliga Tekniska Högskolan) and engineering (Universität Stuttgart/ITKE and Universität für Angewandte Kunst Vienna/IOA) and leading industry partners (Foster + Partners, White Arkitekter, BIG, HENN, ROK, Cloud 9, Buro Happold, str.ucture, designtoproduction, Smith Innovation, Blumer-Lehmann, S-Form, Factum Arte Desarrollos Digitales and McNeel Europe). This call is for a 3-year PhD Scholarship that is fully integrated within the network. 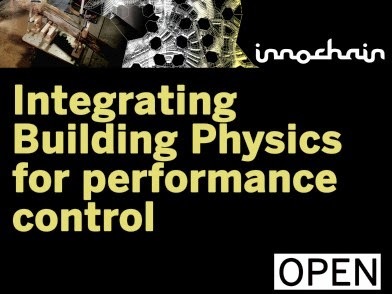 The PhD student will be enrolled at IAAC-UPC. It is our ambition that the PhD will start in September of 2015.